It pays to invest when it comes to shirts. 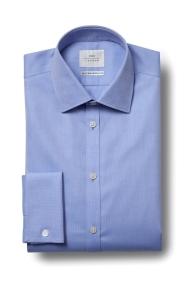 Make this one your next go-to shirt with its refined texture and soft 100% cotton material. It’s a particularly handy item to own as the zero-iron treatment will keep it crease-free by using your body heat to remove crinkles. Cut in an extra slim fit, it sits close through your torso for sharpness, while the double cuffs make it ideal for formal occasions. 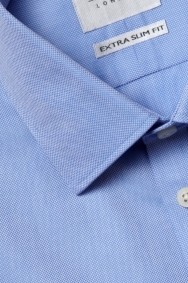 Thanks to the classic collar, you can wear this shirt with or without a tie. Reach for a blue or grey suit, plain or in a pattern; it's versatile enough to go with just about any.